Kathryn is a licensed Speech-language Pathologist. She serves as our Director for the Upstate, proving therapy, offering support for our upstate therapists, and providing clinical supervision. She received her Bachelor’s degree in Speech-language Pathology from Columbia College, and her Master’s degree in Communication Disorders from Western Kentucky University. She holds her teaching license, state board license, and national license from the American Speech-language Hearing Association where she is an active member. 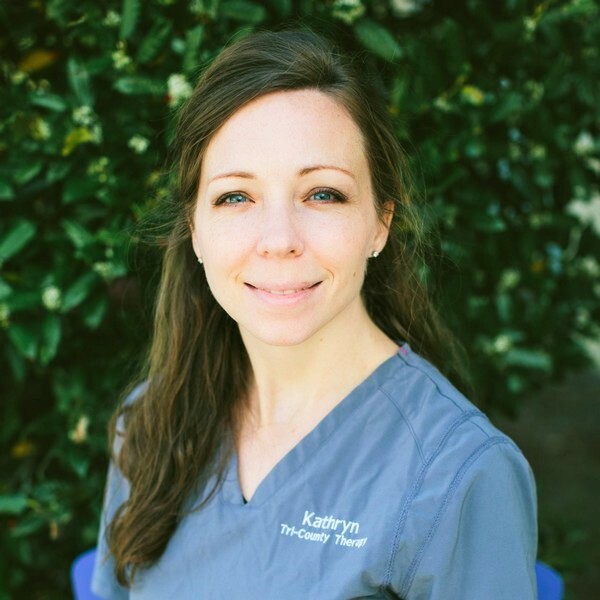 Kathryn has experience in a variety of settings, including hospitals, schools, skilled nursing facilities, and private practice. She has been practicing for over 8 years, and working with children has been her favorite and her passion. She specializes in language delays, articulation and phonology disorders, fluency, and has a special interest in treating children with Autism and has been trained using the ABA approach. Kathryn is also Level 1 trained in PROMPT, having chosen this field in order to make a difference in the lives of children. There’s no greater joy for her, than watching a child reach a milestone and being able to be a part of it. Kathryn is married and enjoys spending time with her husband, son, and two daughters. She enjoys hiking, camping, crafting, entertaining, and serving in their local church. She and her husband grew up in Anderson and now call it home once again, after traveling with her husband’s Army career around the US.